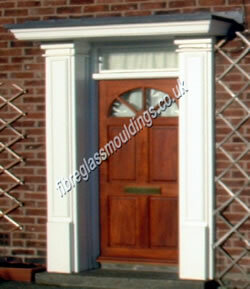 If you are looking to improve the value and the look of your property, why not invest in front door surrounds? 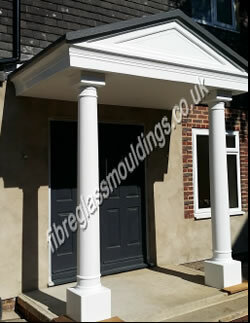 Alongside smooth or hollow groove fluted columns & pilasters, these beautiful architectural features create an elegant look that will make your guests feel at home as soon as they arrive. 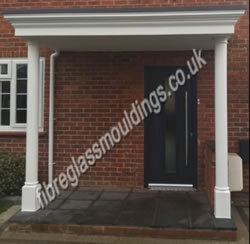 The perfect means of protecting and highlighting your front door, exterior surrounds frame the entrance to your property and create an illusion of a larger door. 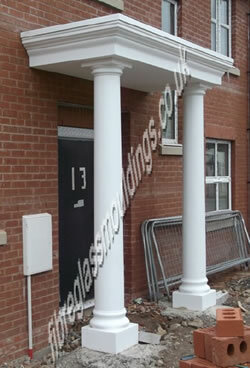 These are available in many different design styles but are all manufactured with the trusted GRP composite. 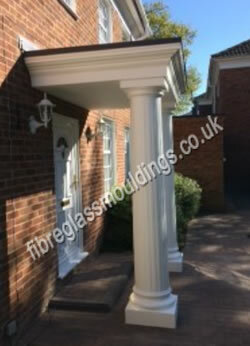 Since we have been providing GRP products to UK homes, many clients have benefited from the maintenance-free durability of this fibreglass product. 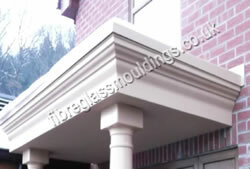 For all our products we use a GRP composite as it provides a defence from the elements as well as a cost effective answer to long-term home improvement. 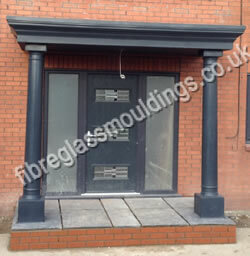 When you consider how little time they take to install there are very few reasons not to buy GRP door surrounds to remodel the entrance to your home or commercial premises. 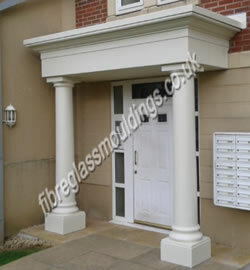 UK customers may also be interested to know that we now have a range of smooth or 'Greek and Rome influenced' fluted pilasters and columns to compliment our exterior door surround range. 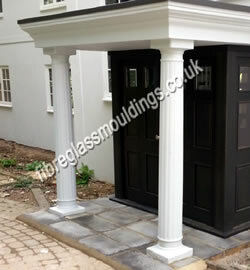 For more information about available sizes and colours of our surrounds, pilasters and columns contact our customer care team on 01254 357000. 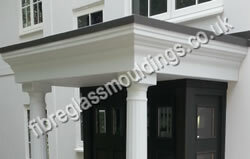 Our team work hard to make sure they deliver the right products. 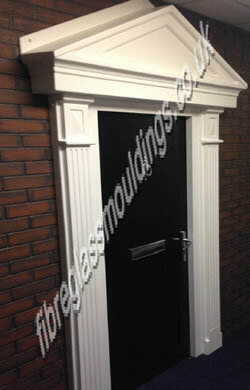 Door Surrounds make a marked improvement to property giving a distinctive style. 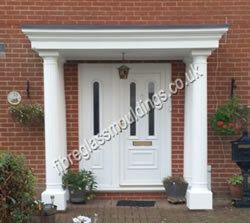 They match with the canopy supplied which together forms a full portico entrance. 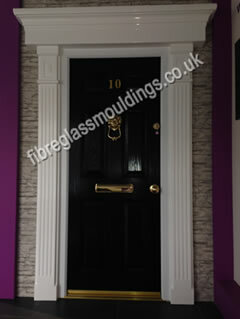 Fine detail at both the top and bottom of each Door Surround gives a finishing touch. 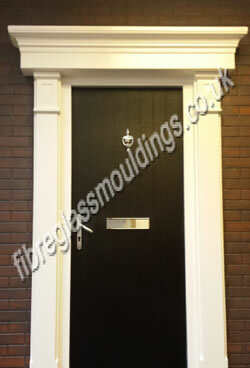 They can be trimmed to fit around door reveals and steps.